As you all know if you follow me on Twitter or we are friends on Facebook, one of my favorite nights out is Rock City. I have loved this since i was a first year at university and i haven't found anywhere yet which i find to be a good as Rock City. Whenever we are unsure where to go or what to do for a night out we tend to end up here. They are many clubs and places to go for a night out in Nottingham but i feel like i know have found my favorite place so i tend to stay with what i know and go here. I have previously been to Oceania, Ocean, Gatecrasher and Rescue Rooms but i feel like the music at Rock City has a mixture of everything Cheesy pop, indie anthems and chart. Where as other clubs they tend to play all chart and dub-step which is great if you like that kind of music. I have found the best nights are Thursday's and Friday's as they tend to play the same kind of music. Saturday's tends to be more punk and rock music but with that they tends to be a more of a mature audience. Entrance is usually £5 or a free if you manage to grab a wrist band of someone outside. The drinks are really cheap and the queue is not too long to grab yourself a drink. They have excellent gigs too at Rock City so its a perfect excuse to stay for a club night and finish the night off. At the club nights they are usually three rooms open, the main room, the basement and the black cherry lounge. I tend to mix things up a bit and go to different rooms as then you can dance away to chart music in the main room and more rocky stuff in the basement. The best thing i like aboout the basement is you can request songs so you can request the Spice Girls and One Direction. 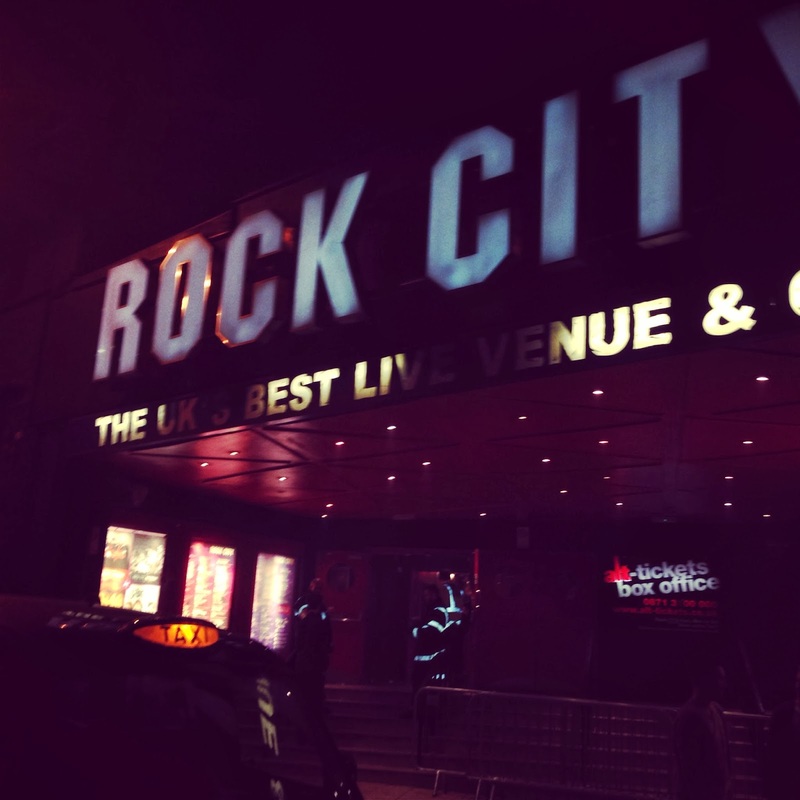 Have you ever been to Rock City before or do you have a gig comming there?